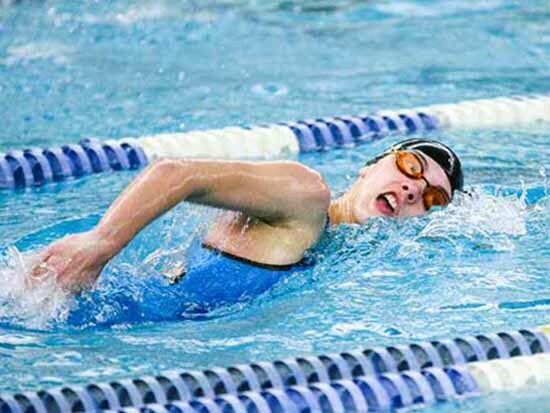 Senior swimmer Phebe James from Wasatch was as dominant in voting for the Week 18 Preps Utah player of the week as she was in the pool at the Class 4A state swimming championships. James had to fight off a set of twin sisters and an entire team of Miners, but when all the votes were for the week of Feb. 16, 2015, she was the last swimmer standing. With just over 1,000 total votes coming in at PrepsUtah.com, James received slightly more than 50 percent to claim victory of our weekly award. The Park City High girls swim team featured individual state champions Rozie Selznick (100 & 200-yard freestyle), Alandra McDowell (200 individual medley & 500 freestyle), Mara Selznick (100 butterfly), Katie Hale (100 backstroke) and Blaire McDowell (100 breaststroke) in addition to all three relay titles. That’s all but one event won by the Lady Miners, making it impossible for us to select just one candidate for our weekly nomination, so we went with the entire team, which finished second in the voting with 38 percent. The other impossible selection for us was between twin sisters Eva Gontrum and Zoe Phillips of Highland, each of which won two individual state 4A titles, so we nominated the twins as one option. The sisters were part of a three-way split for the remaining votes with Katie Smith of Lone Peak and Madelyn Flower of Murray. But James is the winner of our Preps Utah player of the week. She also won a pair of Class 4A state championships in the 50- and 100-yard freestyle to close out her senior campaign. 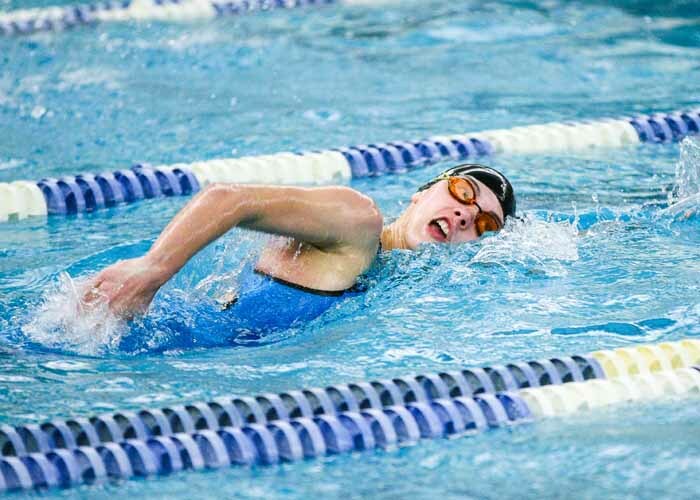 The senior will be back in the same pool in which she won those state titles when she begins her collegiate career at Brigham Young University next year. Five of the state’s top boys’ swimmers are up for consideration this week, seeking readers’ votes as the Preps Utah player of the week. The candidates are American Fork’s Steven Okelberry, Brock Harries from Brighton, Cottonwood’s Jonah Simon, Mitchel Hawley of Woods Cross and Jinwon Bailar of Park City.